on the same bill with him. Aldo was the highlight of the convention that included a visit to the Durban Aquarium by delegates. 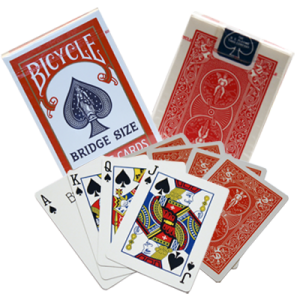 Aldo had a playing card selected by a spectator, and then different jumbo cards were placed around the aquarium pool. Then they introduced Gambit the oldest living dolphin then in captivity, who swam swiftly around the pool to each card that he tossed aside. Finally Gambit located the selected card, back walked across the water with the chosen card in his mouth; to thunderous applause right into Aldo’s awaiting hand. I never forgot this exciting occasion and such a wonderful magic trick. Whenever Aldo performed he was a master of using one liners throughout his performance that were hilarious and funny. Most magicians use gags and jokes in their patter, whereas Aldo just slipped in his one liners to great effect. A typical line might be, “It took me a week to do this trick one night”, or “People ask me is that an optical illusion” No it just looks like one”. His one liners were not always relevant to the effect he was doing but added real humour to his magic. Although I tried to use this method of entertaining, I didn’t quite have the personality that it required. However I have a number of his one liner gag books and have managed to incorporate some of his lines into my shows that raises a few chuckles. 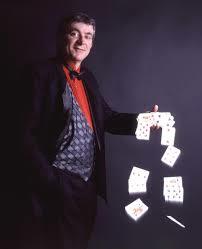 I was always impressed with Aldo Colombini’s creativity that covered card magic, ropes, coins, rings, packet tricks and novelty magic that he distributed with his wife Rachel, herself an accomplished magician. Nearly all their magic tricks are still available at $10 each. Most of the effects are reasonably easy to perform yet good enough for the professional entertainer. In performance his Linking Ring routine and Cups and Balls are classic s that he performed so well. Rings and ropes did amazing things in his hands as well and one of my favourite effects is his two coloured ropes and a ring routine that incorporates, the unlinking of linked ropes, knots that vanish, and a ring that hops on and off the ropes. This is a really good magic trick. For many years Aldo submitted a monthly column to the International Brotherhood of Magicians Linking Ring Journal where he taught many of his routines and magic card tricks. Whenever he delivered a lecture he was mobbed by fellow magicians and was always so willing to share far more than the tricks he was selling. He was someone who gave so much of himself because of his love for the art of magic. To be in his company, his wit became infectious and that image has stimulated me to at least try and be as funny as I can. He has influenced me to endeavour to include humour whenever I am writing patter for something. I believe that Aldo was influential in becoming a comedy magician and while I may not be able to emulate his exact style of humour, I do manage to get a few laughs when performing. Perhaps you may have just the right personality to learn Aldo’s inclusion of funny one liners in your magic. It’s worth a try. Go to www.wildcolombini.com to view the range of some really good fun magic tricks and comedy material with the Colombini touch. 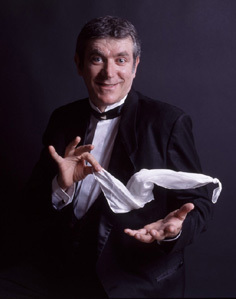 Aldo Colombini will certainly be remembered in the history of magic for his charm, comedy, and contributions to the field of magic.